Merial are one of the largest manufacturers of animal healthcare products and medicine. 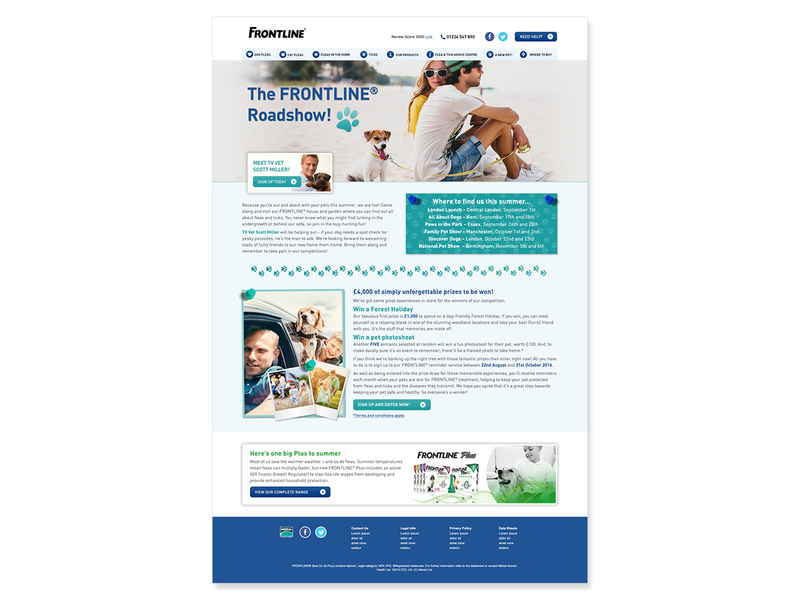 They have a range of products aimed to the veterinary and consumer market. 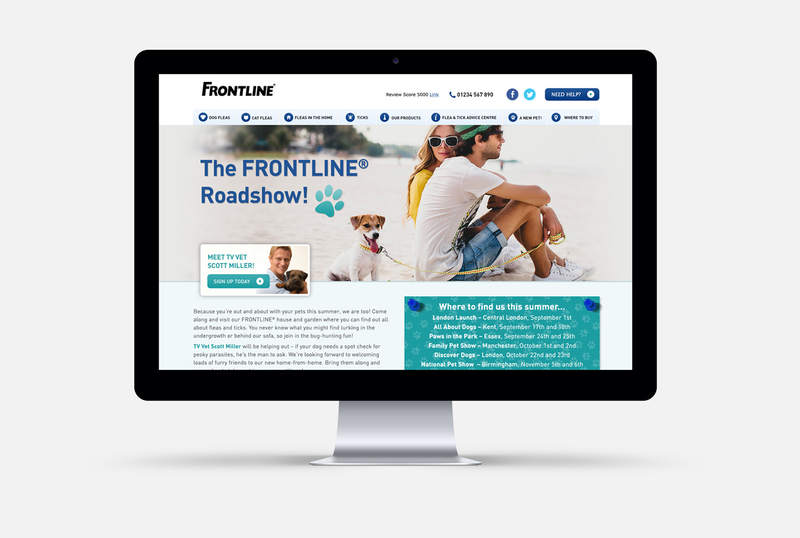 I worked mainly across their Frontline brand, on 2 products aimed at protecting family pets against fleas and ticks. Brief: the client had a new CRM strategy targeted at vets and consumers separately. 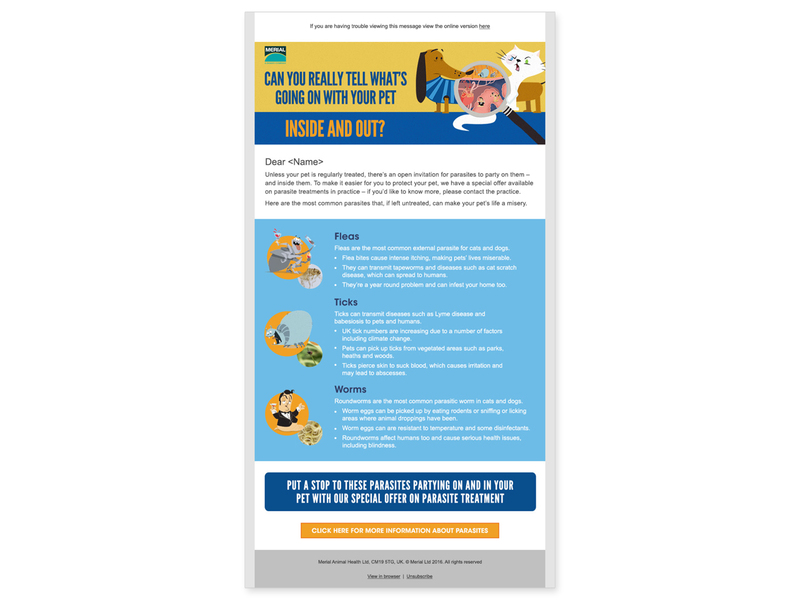 I was tasked with designer an email to raise awareness of a new campaign about to launch to pet owners. The client wanted to keep the visual style of an illustrated video as well inform pet owners of the risk they face. 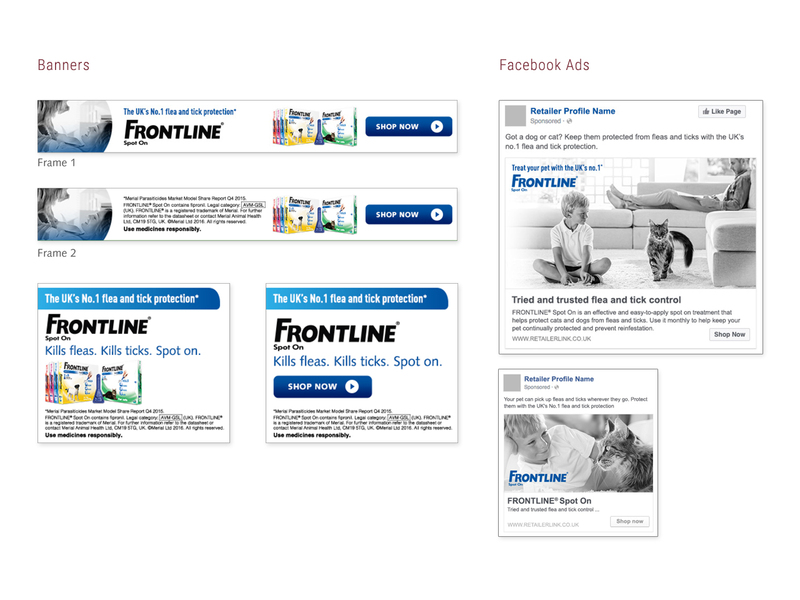 I worked with a copywriter to come up with simple blocks of content based around the key messaging of the campaign. Other email briefs have included promotional messaging for new products as well as newsletter and reminder service template designs. 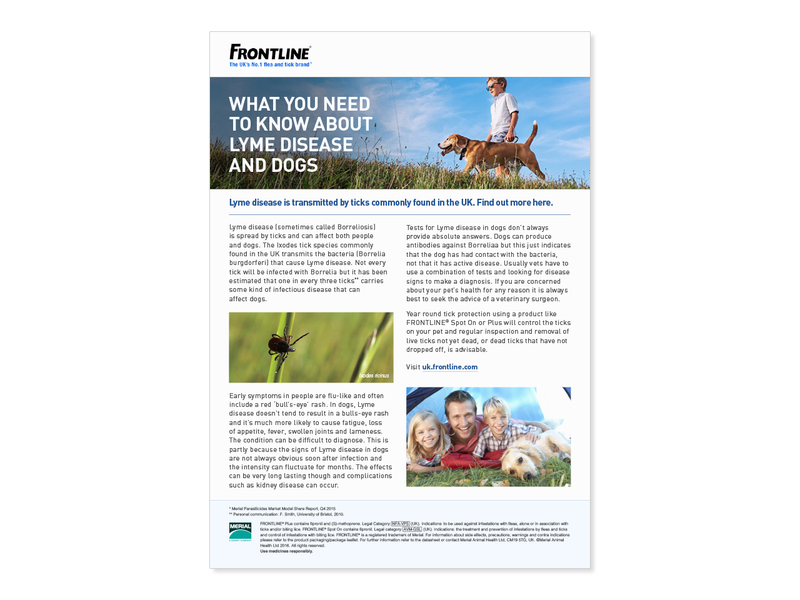 While the client’s new site was being re-built I designed a selection of Twitter Articles that were used to provide dog owners about the latest information about dangers to their pets. Brief: develop a toolkit of digital assets that can be used as guidance to e-retailers on how to market and promote Merial ranges online. The client asked for banner, Facebook ad, email and landing page templates to be created, I worked with a copywriter to create a range of digital assets. After the tool kit was approved I also created banners and emails for new campaigns with Pets at Home and MedicAnimal sites.